The idea and concept is cool and it will definitely look great on the field. Kelly Green is a great color for this team and they should return to it. However, we do encounter some issues. 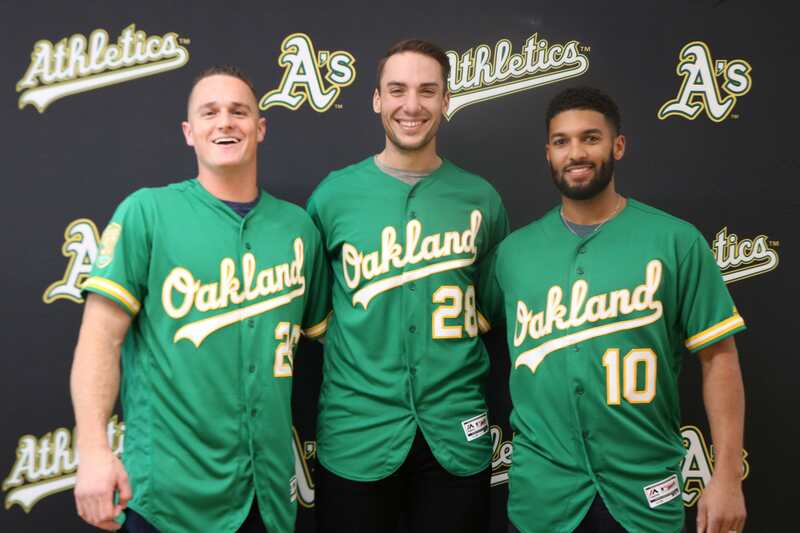 All the other current A’s jerseys feature the elephant patch on the left sleeve. That patch doesn’t appear anywhere on the jersey, which is a shame because the elephant is a huge part of the team brand. 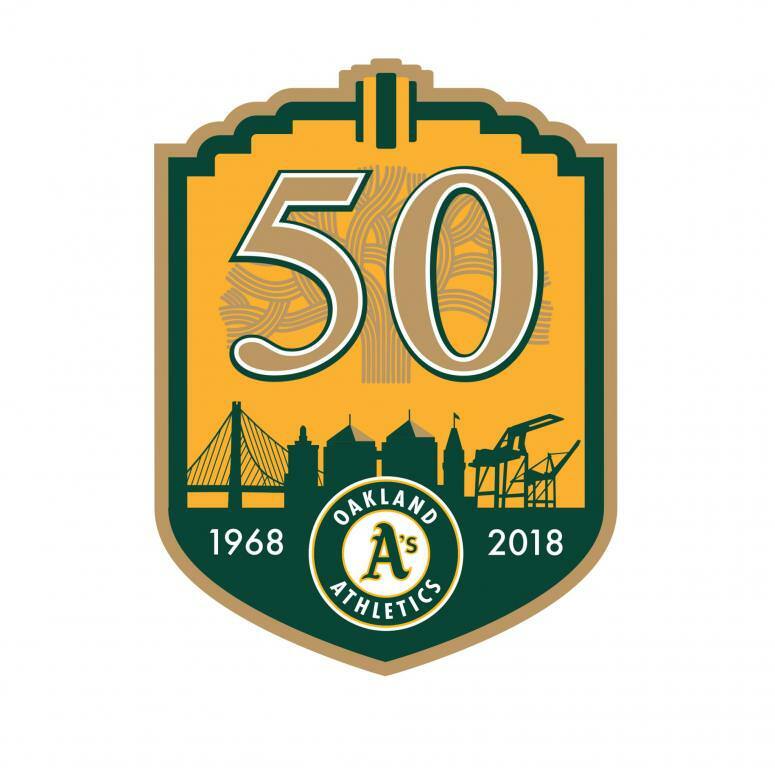 On the right sleeve the A’s feature an alternate version of their 50th anniversary logo. Interesting that they would have a secondary 50th anniversary logo (as you can see in the tweet in header) compared to the one they released. They should have both patches or at least move the anniversary patch to the left sleeve. The other issue is the cap. It feels imbalanced to not have gold anywhere on the cap. Whether it’s a logo trim or the bill, gold needs to be present. It looks incomplete as the jersey features gold but the cap does not. That’s a missed opportunity there. Overall it’s a nice jersey and possibly a sign of things to come for a future where Kelly Green returns. This is a good start, even though there are some things that could have been done better. This entry was posted in MLB, New Sets, Oakland Athletics, Uniforms & Design and tagged Anniversary, Kelly Green. Bookmark the permalink.